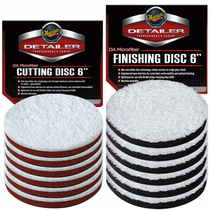 Meguiar's DA 6� Microfiber Cutting & Finishing Pad Mix & Match 12 Pack allows you to choose the specific Meguiar's DA 6� Microfiber Cutting Pads or Meguiar's DA 6� Microfiber Finishing Pads you need. Meguiar's DA 6� Microfiber Cutting and Finishing Pads are both made of an advanced microfiber technology and an engineered foam interface to fit the contour curved and flat surfaces for better control, efficiency and amazing results. 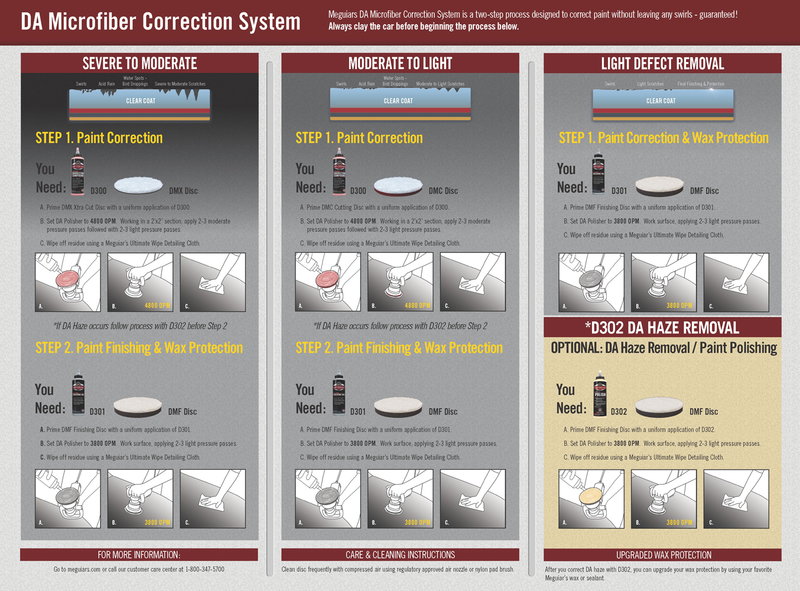 Pick ANY Combination of TWELVE Meguiar's DA 6� Microfiber Cutting Pads or Meguiar's DA 6� Microfiber Finishing Pads! Meguiar's DA 6� Microfiber Cutting Pad Disc: For MODERATE paint defects, scratches, swirl marks and oxidation. 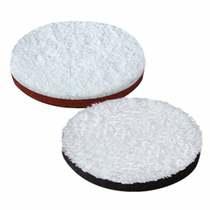 Meguiar's DA 6� Microfiber Finishing Pad Disc: For Meguiar's DA Microfiber Finishing Wax application. During Use: Clean Meguiar's DA 6� Microfiber Cutting and Finishing Pads during use with a nylon bristle pad cleaning brush.